Gov. Andrew M. Cuomo announced a statewide effort by the New York State Thruway Authority and New York State Department of Transportation to prepare for the upcoming winter season, which includes the addition of more than 100 snow fighting vehicles to help clear roadways and highways. The equipment will be deployed to help clear roads in every corner of the state, with an emphasis on areas that are typically hit the hardest by harsh winter conditions. In preparation of the 2017 snow and ice season, the Thruway Authority has added 55 large plows to help maintain its 570-mi. system more efficiently and improve safety across New York State. The Thruway has taken ownership of 30 snow plows weighing in at 7-tons each from the New York State Department of Transportation, and has purchased 10 new 7-ton vehicles, and repurposed 15 7-ton trucks. 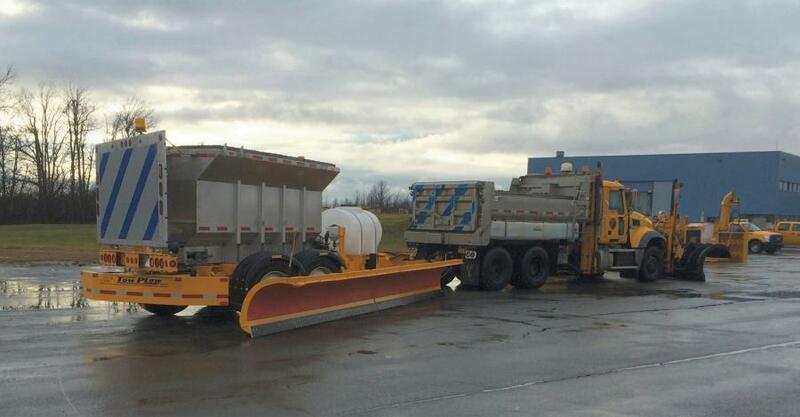 Additionally, the Thruway Authority will deploy 10 new tow plows throughout the state, also transferred from DOT, including for the first time in the Central and Western New York regions. Tow plows attach as trailers to the back of snow plows, and can be hydraulically adjusted to swing out to the side of the truck, allowing trucks to clear up to two lanes at once. The Thruway Authority also is hiring seasonal and full-time employees to assist in maintenance of its superhighway and support in the vital role in keeping the roadway clear and safe for motorists statewide during winter weather. Employment opportunities include seasonal snow plow drivers and Thruway maintenance workers for all four of the Thruway's Maintenance Divisions, which span from New York City to Buffalo to the Pennsylvania border. Details on minimum requirements for both positions, such as a valid CDL, as well as application information, are available at www.thruway.ny.gov or call toll free: 1/800-525-3586. 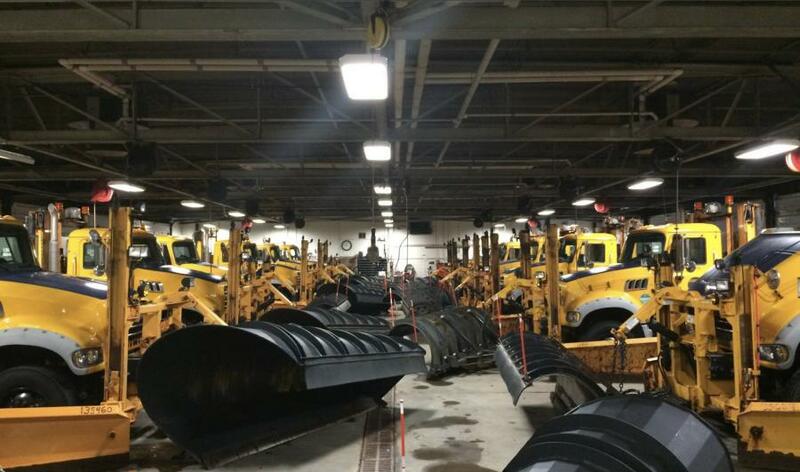 In recent years, the Department of Transportation has acquired 44 new two-stage plows that clear snow and ice from the roads more efficiently. A second plow located directly behind the main plow blade will conform to the road surface, removing more snow to better clean the road surface and allow for reduced salt usage. The new plows will be located strategically across the state and will be used at targeted locations where less salt use is preferred due to environmental factors. In addition to the new plows, DOT will work with the Thruway Authority through the State Department of Homeland Security and Emergency Services to better coordinate resources before a major storm hits. The two transportation agencies have long been partners, sharing trainings, best practices and technological expertise, as well as sharing resources during storms. Moving forward, DOT and the Thruway Authority will build upon that success by doing even more joint planning in advance of major snow and ice storms, streamlining the process of pre-deploying available assets in order to improve road safety during storms.